Successfully Added thl T200 True Octa-Core 6 Inch Phone - 1080p HD Gorilla Glass IPS Screen, 1.7GHz CPU, Android 4.2 Jelly Bean, 2GB RAM, NFC to your Shopping Cart. 6 Inch True Octa-Core Android 4.2 Phone with 1080p HD IPS Screen protected by hard Gorilla Glass, 1.7GHz CPU, 2GB RAM, NFC and more. World’s first true Octa-Core 6 Inch Android Phone. As the second true Octa-Core phone on chinavasion and first large screen Octa-Core Android phone, the thl T200 is one of the most powerful phones available on the market today. Unlike other 8 core phones which can only activate half of their CPU, the T200 uses all of its 8 CPU cores simultaneously, resulting in a drastical increase of performance while creating greater power efficiency and enabling you to multitask like never before. Packing a 1.7GHz True Octa-Core CPU, the thl T200 achieves faster and more stable web browsing, a smoother multitasking experience, superior gaming and so much more. Displaying your multimedia is a gorgeous 6 Inch 1080p full HD screen on which you will be able to enjoy your movies and pictures like never before. Lending itself perfectly for a cinema like viewing experience and perfect for avid phone users, the large HD screen is a real treat for your eyes. To protect the phone the display panel is protected by Gorilla Glass for some truely excellent impact resistance. On top of that, a 13MP rear camera will shoot breathtaking pictures for you and using the 8MP front camera, video chatting can be done in HD. To make your life even easier, the thl T200 comes equipped with NFC functionality for you to easily send and receive files without having to go through a pairing process. A simple tap against another NFC enabled phone will suffice to start the transfer. To store all you multimedia, 32GB of internal memory is available on this Octa-Core phone which can be expanded even further with up to a 32GB micro SD card. The thl T200 6 inch true Octa-Core Android 4.2 phone is now in stock and can be shipped out within one working day with a 12 months warranty. Brought to you by the leader in wholesale Android phones, Chinavasion. 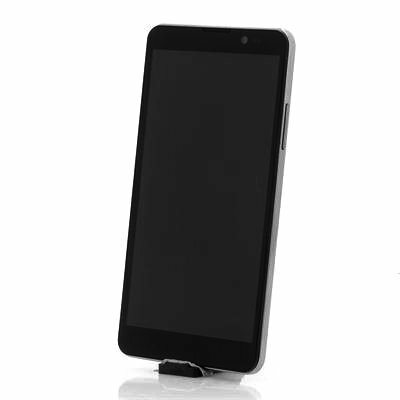 This is the second THL from Chinavision. The first became some problems with the camera after 2,5 years! Very good service. I have absolutely nothing negative to about the phone, service or delivery. 1-Screen) A buying point for me when buying a phone or tablet is the screen and this has one hell of a screen on it. Large enough to browse the web properly on the go a great quality. Benchmarking actually showed it to be more than 1080 x 1920. No touch issues and very responsive. 2-Software) This comes with Android 4.2. Good functionality and very little bloatware (unlike manufacturers like Samsung). It would've been good to have Android 4.4 however not a must for average users. Gapps work fine with no issues and play store already installed. There was no issue with linking Bluetooth devices to it and android picked them up and connected seemlessly. Also it already seems to be rooted which is a bonus! 3-Camera) Both cameras are adequate and good for a smartphone. Like pretty much all smartphones there is very little point putting huge megapixel sensors when the phone doesn't have a dedicated processor for it. Conclusion: if you want to take amazing pictures, buy a camera! 4-Battery) A huge battery for a huge phone. Heavy use can drain it but no difference to any other phone. However even with heavy use it doesn't drain as much as other phones I have used. With light moderate use I can sometimes get 2 days out of it. The charge is also very quick. 5-Hardware) This phone is well built and solid. I've dropped it a few times and no breaks. I've used a few benchmarking apps which have come up with great scores. It will compare with expensive well known brands on the market but for normal users they aren't going to need a phone that goes at the speed of light! Even for gaming it works well and video play well with no lag or reduction in quality. The octacore processor makes multitasking seemsless and enjoyable. Storage is huge and can also be upgradeable using a micro SD card. Also both similar card slots are 3G unlike some which only have one 3G sim slot. In conclusion this is a great phone for the money. Its packed with some great hardware and can easily go head to head with many of the "western" brands. Like most things there can be some improvements on it but if we look at the cost its hard to beat for what you're getting. I've had the phone for several months and had no problems using it (except for breaking one sim slot). Even with some of the criticisms I have no issues giving this phone 5 stars. No piece if hardware will be 100% perfect but THL have worked hard to produce a great piece of kit coral affordable price. 1-Screen) Although the screen is cracking it could do with being a little brighter. It can sometimes be hard to see in sunlight. 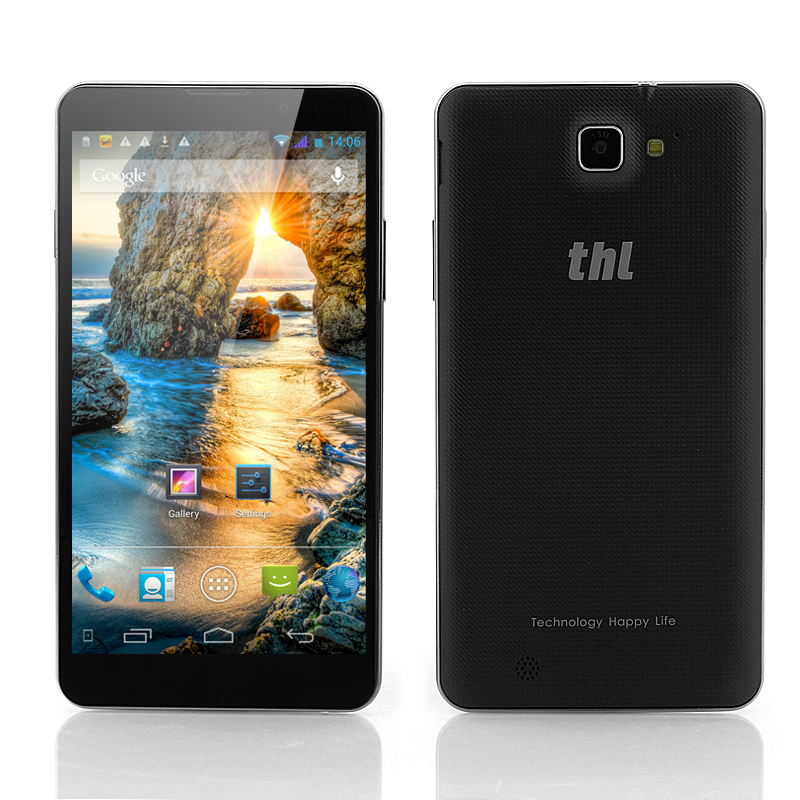 2-Software) Not the most recent android and unable to find information on THL updates. Also no custom firmware available either but to be expected for a phone that doesn't have a huge user base inthe west. 3-Camera) I think the manufacturers specs don't live up to the hardware. You can get a reletively good picture but don't use the stock app. I downloaded a third party app which improves performance but certain lighting conditions will give you poor quality. 4-Battery) I don't have any criticisms of it really. It could last longer but that's the downfall of almost every smartphone. 5-Hardware) The speaker is quiet. Sometimes a little too quiet at times and having it on the back doesn't help. I had one problem where the full size sim card slot broke easily but was easy to source a new part for it. this phone is wicked fast once i made my own "emulated battery" with a regulated dc power supply . since the real battery was dead.. a replacement battery is on it's way with in a week. my phone in particular the battery was D.O.A.